Last Sunday afternoon, mom and I embarked on a road trip. We were off to see world-famous cellist Yo-Yo Ma and his Silk Road Ensemble at Tanglewood music festival in Lenox, Massachusetts. Yo-Yo Ma was born in Paris to a musical Chinese family, who introduced him to the cello when he was four. A rare talent, Yo-Yo Ma has performed for U.S. Presidents, helped on movie soundtracks, won many Grammy Awards, performed at President Obama’s inauguration, and played during the funeral mass of Senator Edward M. Kennedy and for a memorial for Apple co-founder Steve Jobs. 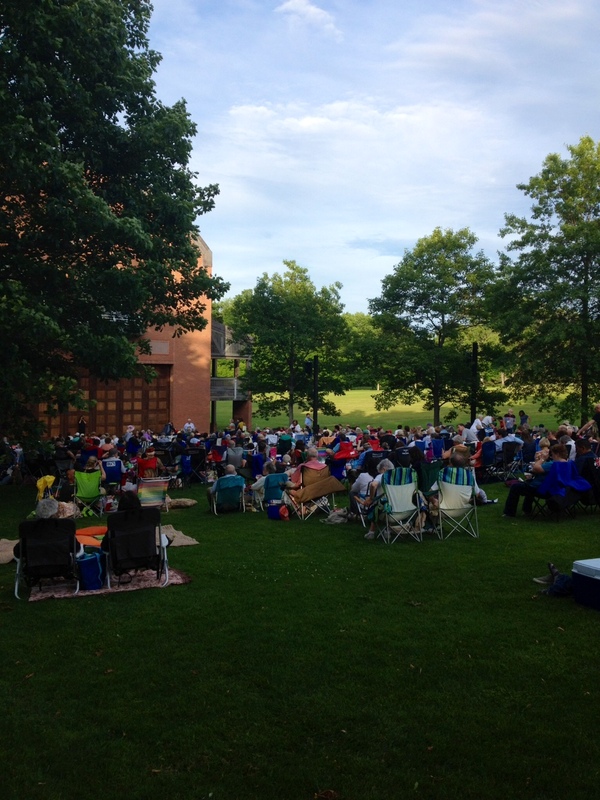 Before getting to Tanglewood, friends mentioned how “magical” of a place it is and they were absolutely right. It’s a tucked-away music venue in the mountainous Western Massachusetts Berkshires region with plenty of green to admire. Mom and I packed snacks, a blanket, and candles, ready to absorb the beautiful musical compositions from our picnic on the lawn. The musical instruments used span global traditions, creating a unique cultural experience. 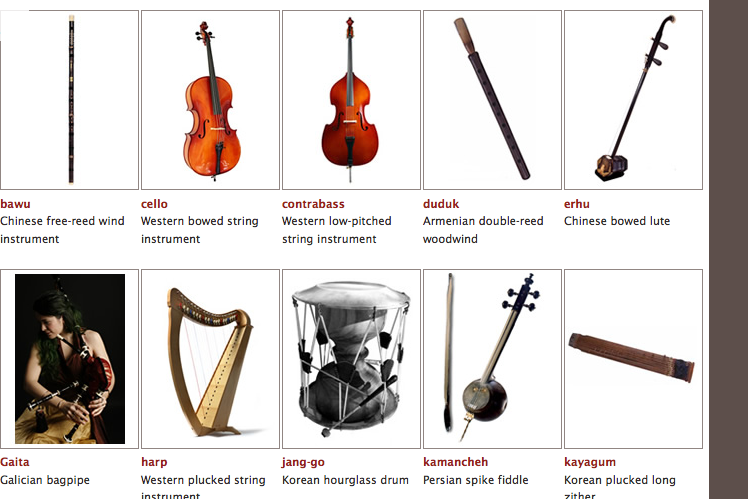 A few of the instruments displayed on Silk Road Project website. “We had come together from places as far away as Mongolia, China, Azerbaijan, Uzbekistan, Tajikistan, Iran, Armenia, Turkey, India, Japan, and Korea. Many of us did not play the same scales or speak the same language. Some read music, while others did not. Rather than drawing us apart, these differences had the opposite effect of deepening our curiosity to learn more about each other. We discovered that hamburgers in Mongolia were “hamburgers”; that for an Iranian who grew up in the desert, the Tanglewood green was “just as he imagined heaven would be”; and that our shared love of music and curiosity for the world would sustain our friendships for many years to come.” – Yo-Yo Ma, 2005. 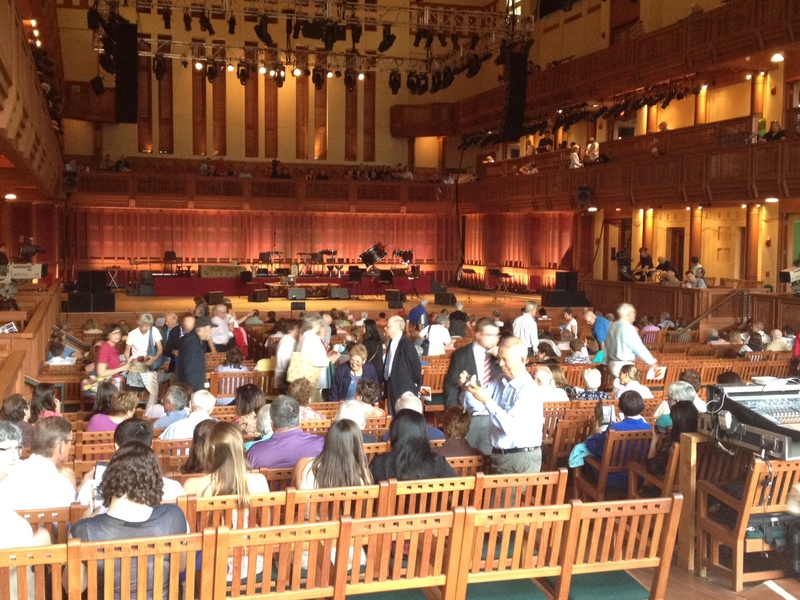 Inside Ozawa Hall. Taken with iPhone. The Galician bagpipe started the evening and wowed the crowd.”Blue Little Flower,” a Chinese traditional piece, became another favorite of mine. 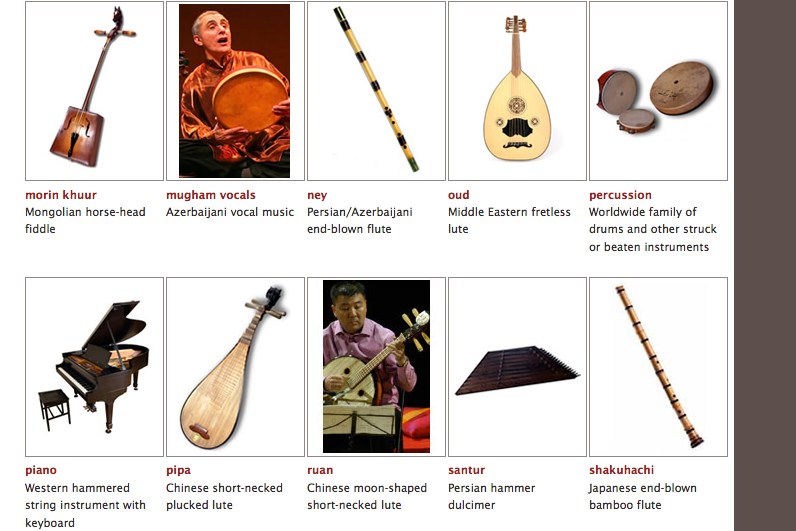 To listen to a few compositions, access them via http://www.silkroadproject.org/tabid/168/default.aspx. How can music unite people all over the world? Who are your favorite musicians or composers? 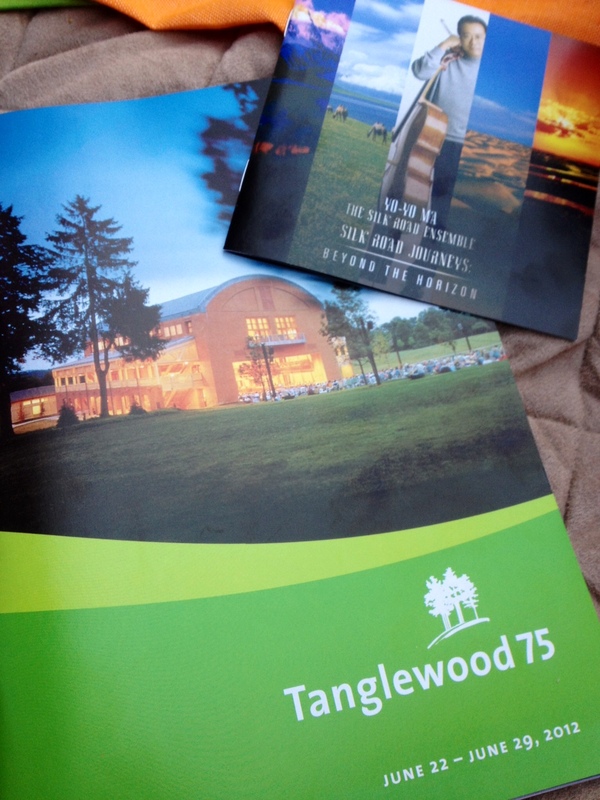 Ever been to Tanglewood? Aaaawww! Road trip with mama to experience an incredible musical journey! How perfect! It really was amazing! I’m happy to have been there with my mom! That’s great and so important. I wish my family lived closer and then I’d be see them a lot. They live in North Carolina…13+ hours away by car, 2 hours by plane. But luckily we visit! Oh! I’ve never been to N. Carolina! That’s too bad – definitely makes it hard! But so lovely that you make time and make it memorable each time! That’s what’s most important! I agree completely! Distance doesn’t have to separate people either. Hope you continue to enjoy your travels wherever they take you! He mentioned! We love it there! And we saw people kayaking, too.